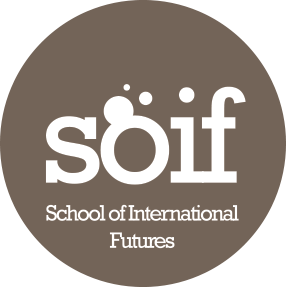 Following the success of the last two years’ events, and its first regional event held in Hawaii from 20 – 23 April, the School of International Futures (SOIF) returned to Wilton Park this August to run another strategic foresight retreat. Over the course of 5 days, alongside tutorials on foresight techniques, we explored the role of narrative in developing and communicating futures, addressed a live policy challenge submitted by one of our participants and considered the impact of technological trends on security. Strategic foresight helps us plan and take decisions in the complex world we live in today. Integrating analysis and expert views from a wide range of disciplines, it is used to generate scenarios that are directly relevant to the issues organisations face and to assess the implications of these scenarios for business and policy. By attending the retreat, participants learned a systematic approach to understanding global challenges and how their organisation can confront or address them. By hosting these events SOIF has built up a network of users and commissioners of strategic foresight constituting a valuable resource for those looking to apply their new insights when on their return to the office. To experienced horizon scanners, SOIF 2014 at Wilton Park offered a fresh opportunity to hone skills, and to those already applying foresight strategies within their organisation, the chance to learn new techniques and practices. Craig Robinson, Global Executive, Governance and Infrastructure, KPMG International.